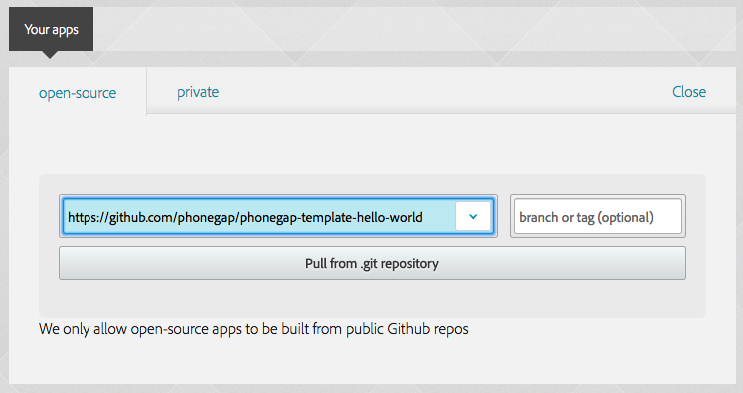 Adobe PhoneGap framework is an open source distribution of Cordova — providing the advantage of technology created by a diverse team of pros along with a robust developer community — plus access to the PhoneGap toolset, so you can get to mobile faster. Select the completely free plan. If you are not yet a member, get an adobe id first. Inside “phonegaptest1”, create another folder “www”. In “www’ folder, create index.html and put the codes below into the file. You can download and install Android and Windows app easily. However, for iOS, you must provide a valid key first before building and downloading the app. 8) Install to Android Device. 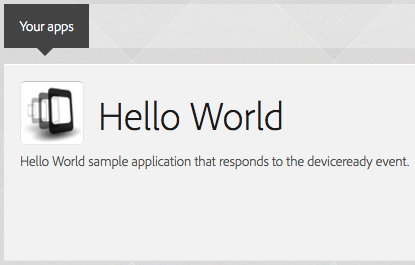 Download the apk and install to the device. After deleting the app, try creating a new app by importing the following project from GitHub. You should get a new project created like this.